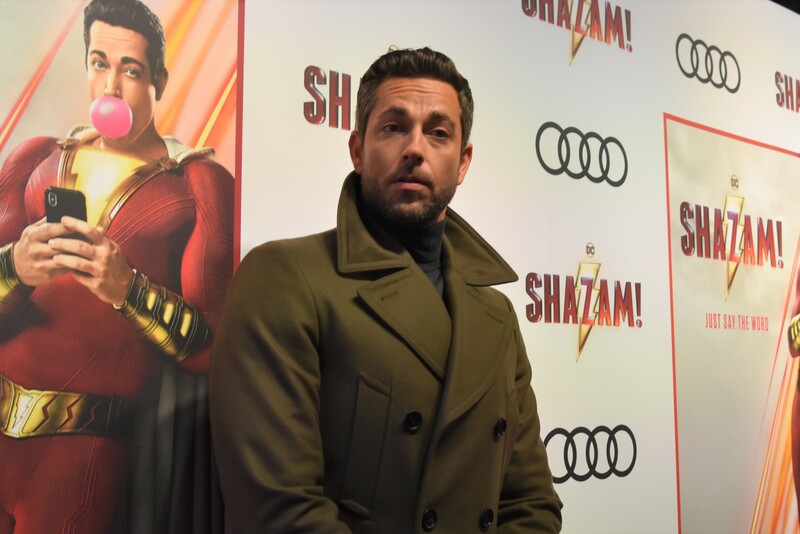 The Cast and Director of SHAZAM received a warm welcome back today, taking over Toronto’s Yonge-Dundas Square! 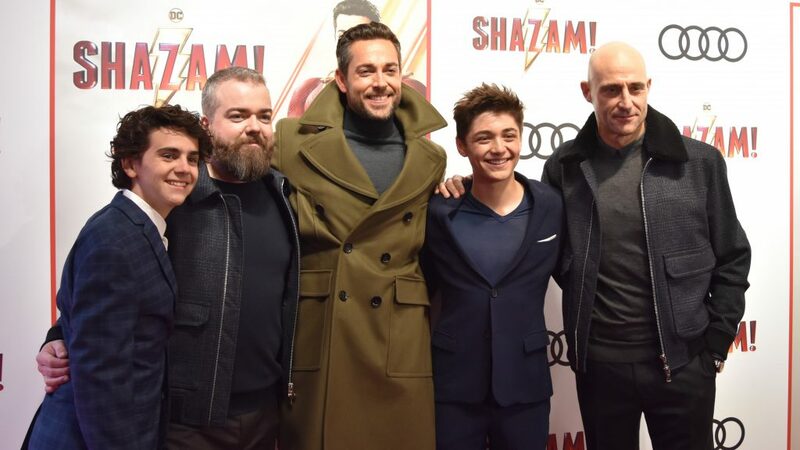 In town to ring-in the Blockbuster directed by David F. Sandberg and also a world exclusive Fan Event at the hotspot, were stars Zachary Levi (Shazam), Mark Strong (Dr. Thaddeus Sivana), Asher Dov Angel (Billy Batson) and Jack Dylan Grazer (Freddy Freeman). The affair saw fans queueing as early as this morning for a chance to be up-close to the stars, who just a year ago filmed the Production in the City at various locations including Pinewood Studios. 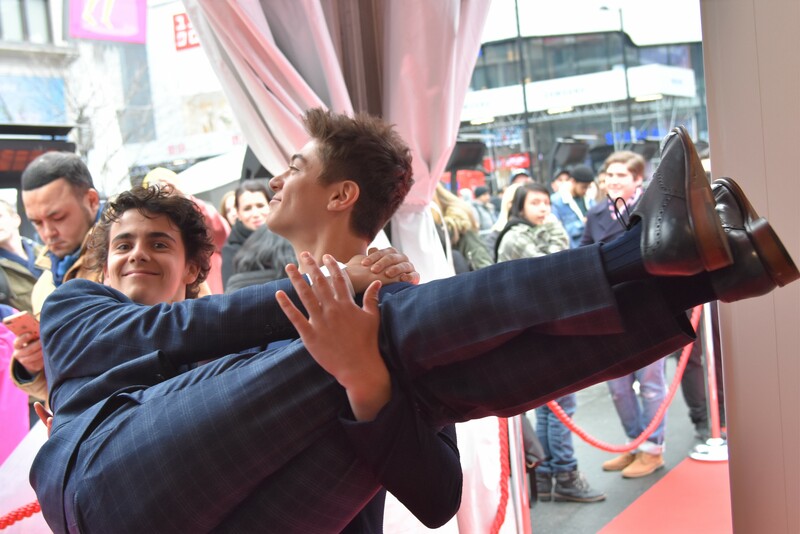 The group did the rounds in the City today making several stop-offs including visits to the CN Tower, Bell Media Headquarters, Corus and CITY‘s Breakfast Television, before hitting up the Red Carpet. Shazam, based on the DC Comics character of the same name, centers on a 14-year-old orphan named Billy who is taken-in by an adoptive family, after fleeing many times from others. Once again he finds himself struggling to fit-in with their five other adopted children. One day, he is taken on a subway ride where he encounters a wizard who transforms him into a superhero. He soon realizes his purpose is to prevent the evil Dr. Thaddeus Sivana from taking away the power bestowed upon him, which could cause mass destruction to the world. Billy finds himself turning to his new-found family when he least expects it. 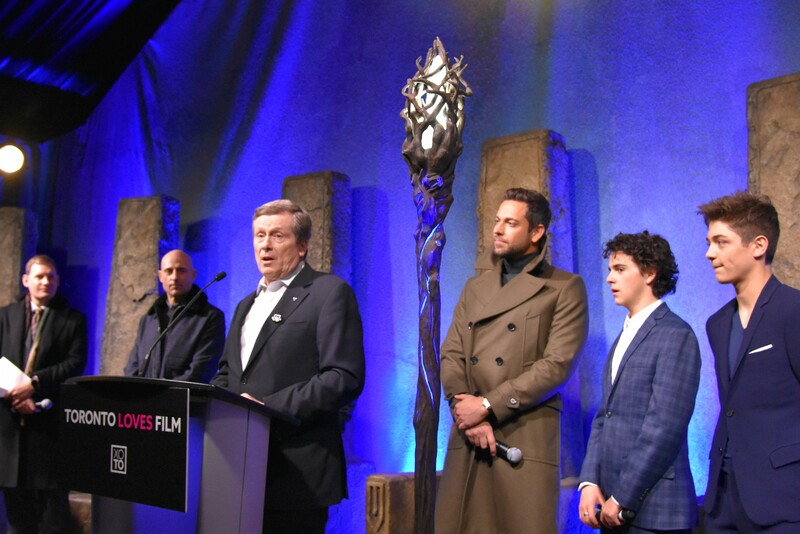 Toronto Mayor John Tory had the honour of handing a plaque to Sandberg commemorating Shazam‘s contribution to the City, including a remarkable $55 million in spending as a result of the Film. Tory just returned this weekend from the SXSW Festival in Austin, Texas and tells us, “They think it’s cool a movie like Shazam was produced here. And so that helps us to grow the city to make it a great place to live, for show business and entertainment and a place that welcomes people who are innovative.”. 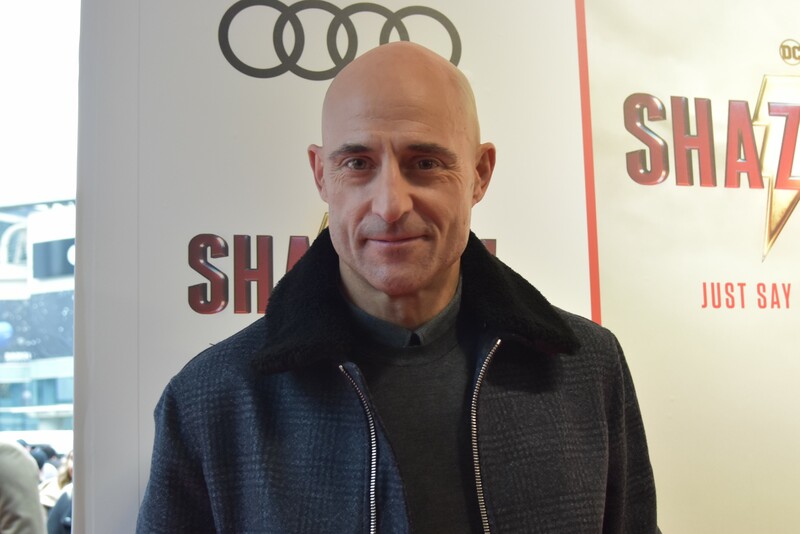 Mark Strong who plays the Film’s villain, has made numerous Films here in the past and says, “You know that when you come here to make a movie, you know you’re getting the best possible people. I’ve made some really good friends over the things that I’ve done.”. 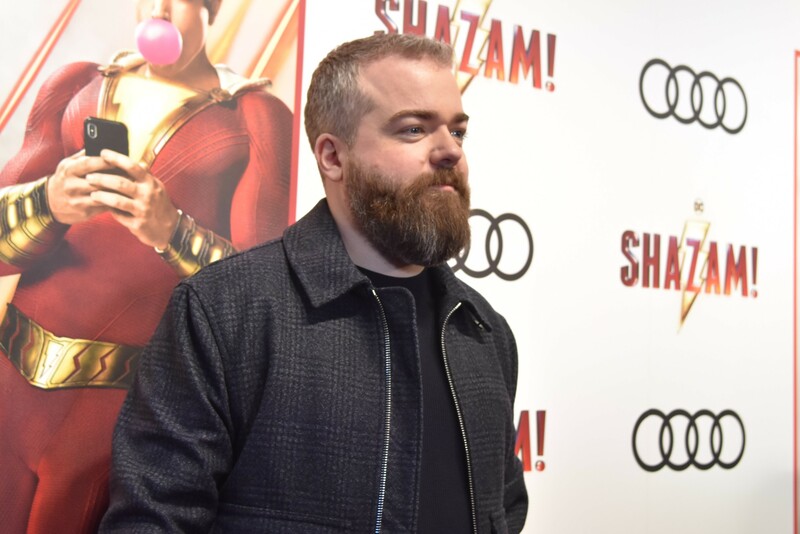 David F. Sandberg, who shifts from the Horror genre after having made films like Lights Out and Annabelle: Creation, reveals that this was his first time shooting outside of Los Angeles. “It could’ve been a little warmer but other than that, the crews were amazing and really impressed me”, he says. “It was such a great city to shoot in and spend the better part of last year.”. 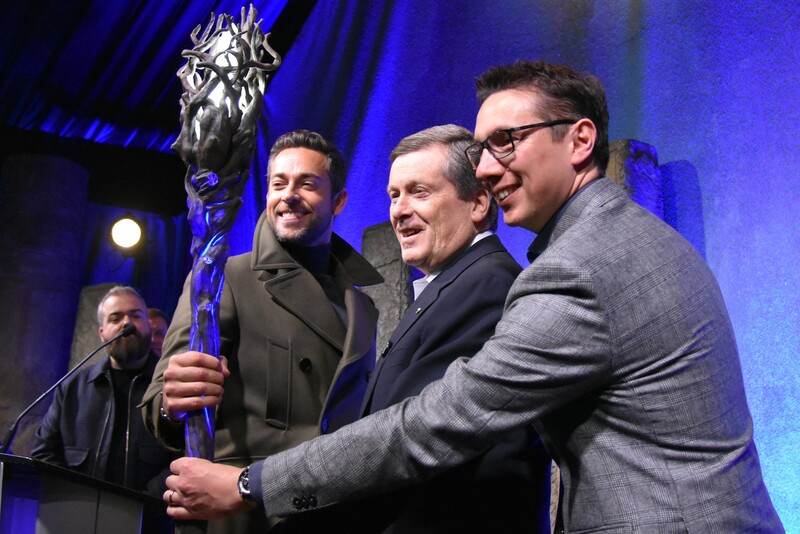 Zachary Levi is no stranger to Toronto, having filmed TV Series Heroes Reborn here. He states “I’ve been blessed to work here a couple times and this certainly is the biggest thing I’ve gotten to do. Every time I’ve gotten to appreciate the city more and more. Everyone knows the food scene here is fantastic – so kudos to that. This really is Hollywood North. There’s so much talent in this area and around this area.”. He adds, “Really big movies have been made in Toronto, so it’s really cool you’ve allowed us to Shazamify this whole area and bring this fun activation to the fans.”. 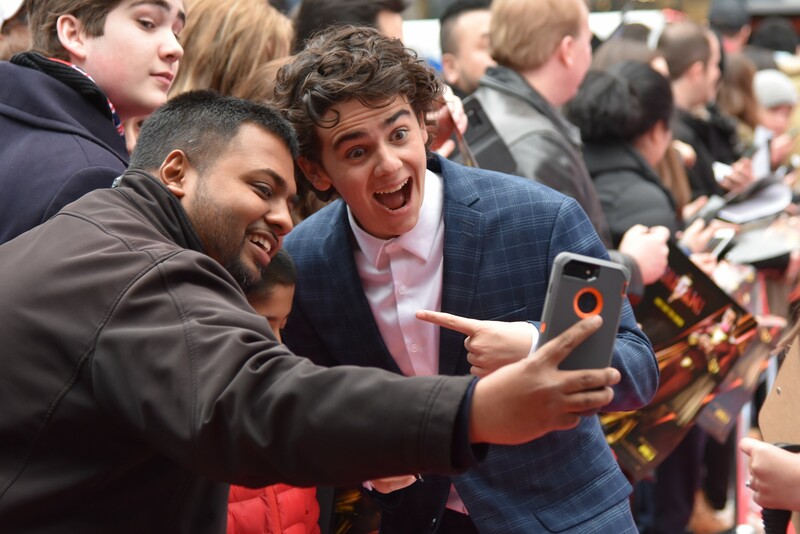 Jack Dylan Grazer, plays the adopted brother and best friend of the Film’s central character, Billy. He also filmed both IT and IT: Chapter Two in and around the City. Grazer who attended with his mother, says “I’ve spent a lot of time in Toronto in the summer when it’s beautiful and not so freezing! I’ve spend time in Port Hope and the interiors – I’ve really enjoyed my time here and I’m thankful I had this opportunity.”. 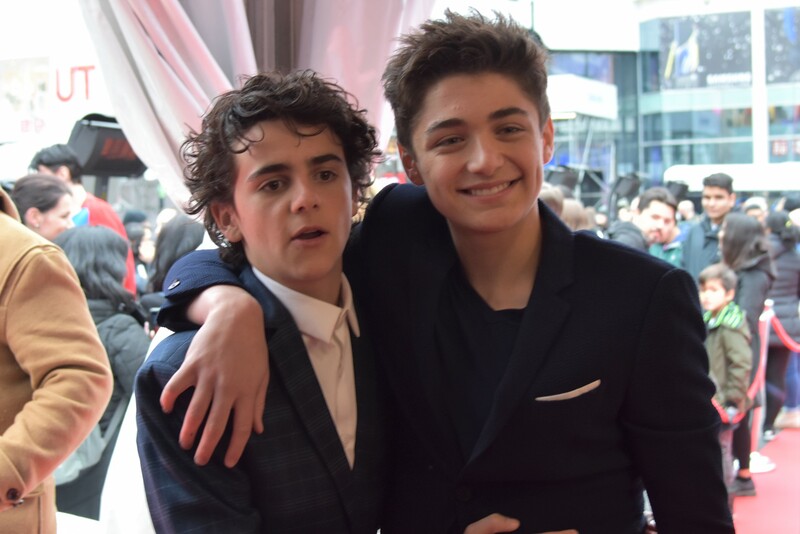 Asher Dov Angel who plays the younger version of Levi‘s character, recalls “It’s been an incredible experience. This was my first time in Toronto ever. The food’s really good, the people are really nice and getting to work with these guys is amazing.”. He jokes (or maybe not) about a potential sequel being made here. We’ll soon see! 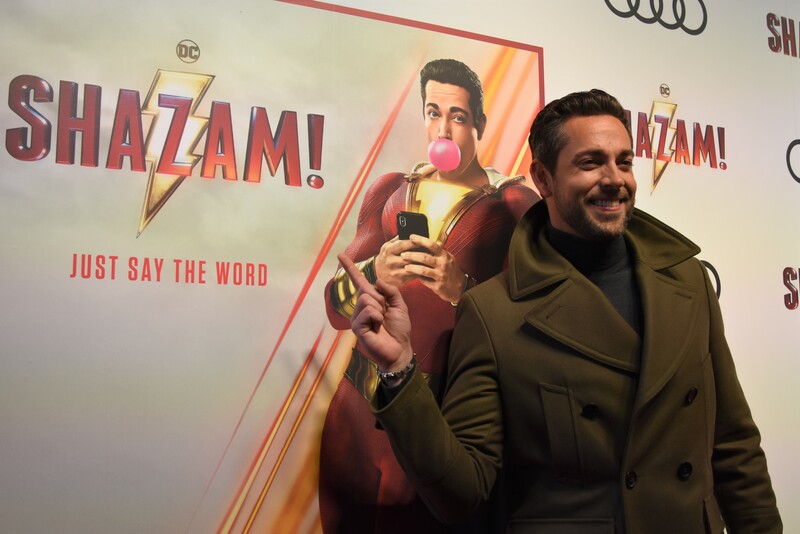 Shazam‘s Canadian Premiere and Fan Experience is brought to us by xoTO, Audi, Toronto Comicon and Warner Bros. Canada. 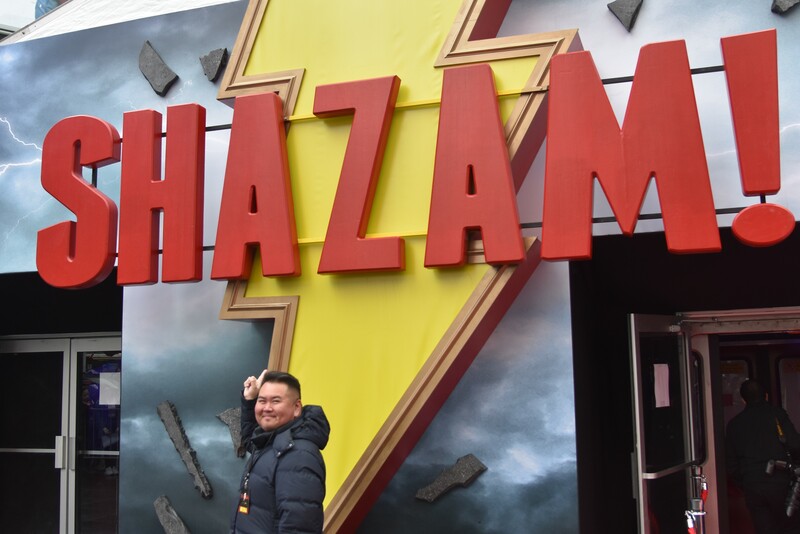 The Fan Experience, which features set props in a lair modeled after the one seen in the Film, plus a replica subway, gives fans a chance to connect with a couple key moments in Shazam. It is on for one more day, Friday, March 15, 2019 11 AM – 8 PM at Yonge-Dundas Square. Warner Bros. Canada release SHAZAM Friday, April 5, 2019. Review to come. Photos shot on the Nikon D3400.